I met Serena for the first time a year ago at the Stand Up for Charity event at the Queen Bean. It took less than one minute of meeting her to confirm that Gamboa connects with people very easily as she was already asking if I was photographing the event and if not, encouraging me to stay so she could make me laugh, like we were old friends. 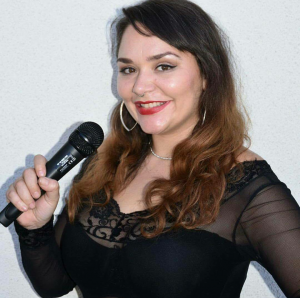 Serena in the past few years or so has been quickly rising in the Modesto Area Comedy Scene, she was nominated for a MAMA Best Comedy Act in the 209 last fall and has easily become one of the funniest ladies you can catch when she is performing in town. 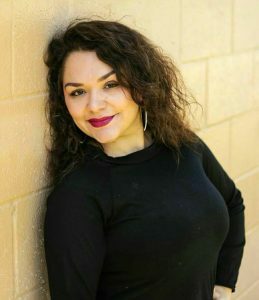 The Spicy Latina briefly took a break from her schedule to talk to Modesto View about what inspires her and drew her into Stand-Up. 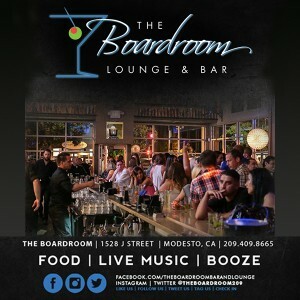 Modesto View: Tell us a little about yourself. Serena Gamboa: I studied acupuncture before comedy. I like helping people, but I had to convince my patients to get the help. I like that people come to the laughter without twisting their arm. Besides, Laughter is the BEST medicine. And it’s therapy for me too. MV: What inspires, drives your comedy and you motivated to keep pushing boundaries with your comedy? SG: Helping people and breaking barriers for Latina women inspires and drives me. What motivates me is knowing I’m different and succeeding at doing my own thing. People who dislike me or don’t think I should be doing comedy, also motivate me. MV: Tell us about what it means to you to be working as a comic/comedian. SG: The world. It’s the reason I’m still alive, or want to be alive. It’s also brought me the greatest friendships & relationships thus far. MV: Who would you like to collaborate with and why? SG: Andrew Dice Clay. He’s one of my comedy idols. MV: What has been the proudest moment of your career so far? SG: Tough question. Having a successful running venue in Livermore for a year and a half. (I’m born and raised in Modesto. There’s only two mics in Livermore. And mines one of them. It’s pretty cool having a venue in another town.) Producing comedy for veterans, and weed for warriors. Being the only female to break into the cannabis market. Producing Sesh shows. And being nominated for a MAMA award for best comedy in the 209 in 2017. *June 12th, 2018 – Two Tuesday Comedy Open Mic & Showcase St Stan’s /Stanislaus Brewing Co.
1028 11th Street, Modesto, CA. Free Admission. 18+ recommended. 2562 Old First Street, Livermore, CA. 8-10pm. No cover. *June 28th, 2018 – Comedy for Vets. This is the first comedy show at the Stanislaus Veterans Center.